Hotel Pentagon, one of the most sought hotels in Mangalore offers the best of services on all that a tourist needs – Yummy food, Rooms with beautiful Interiors, Comforting ambience. The best in-class amenities for both business clients and leisure time travelers such are available here. The serene environment is an added advantage here. 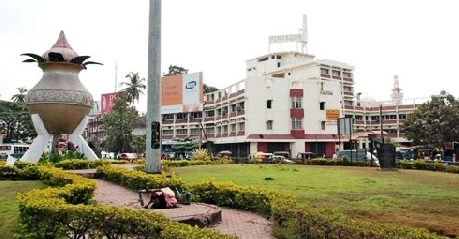 Located at Kankanady, Pumpwell Circle in Mangalore, it lies just 2 km from Mangalore Railway Junction and very close to the Mangalore Bus stand. The airport is just 18 kms away from the airport. 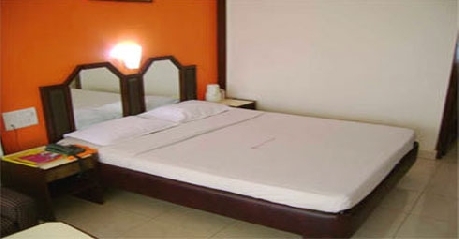 Thus, Hotel Pentagon promises a very pleasurable stay for travelers in Managlore from such an enviable location. Loaded with amenities for a comfortable stay at an economical rate, Deluxe rooms have a shower area with a 24 hour supply of hot and cold water, Telephone, Television, Internet access, a safe and a cozy and clean bed for two. A natural choice for economy class travelers since they can enjoy business class amenities here. Rooms with the right blend of ethnic and modern interiors, they make the stay even more fun-filled and memorable one with the air-conditioning service it has in addition to the amenities needed for a pleasant stay. Business-class suites with high-class facilities for an enriching experience. Big rooms with exquisite interiors and world-class amenities ensure a luxurious stay here. Dining in Hotel Pentagon gives a wholesome experience with each and every need and type of people dining taken care in its design. Having an all-day dining restaurant, suits both family dine-outs and business food outings. It has an attached business center. Hotel Pentagon offers sumptuous food at amazingly affordable rates. Its multi-cuisine restaurant offers Indian, Chinese and Continental dishes for its guests. Various culinary delights that include a variety of vegetarian and non-vegetarian dishes are favorites already. A well-stocked bar is a plus.